Ships today if you order in the next 6 hours 27 minutes. Chlorella is a freshwater algae superfood that contains a high amount of chlorophyll, as well as an abundance of vitamins, minerals, and other nutrients. 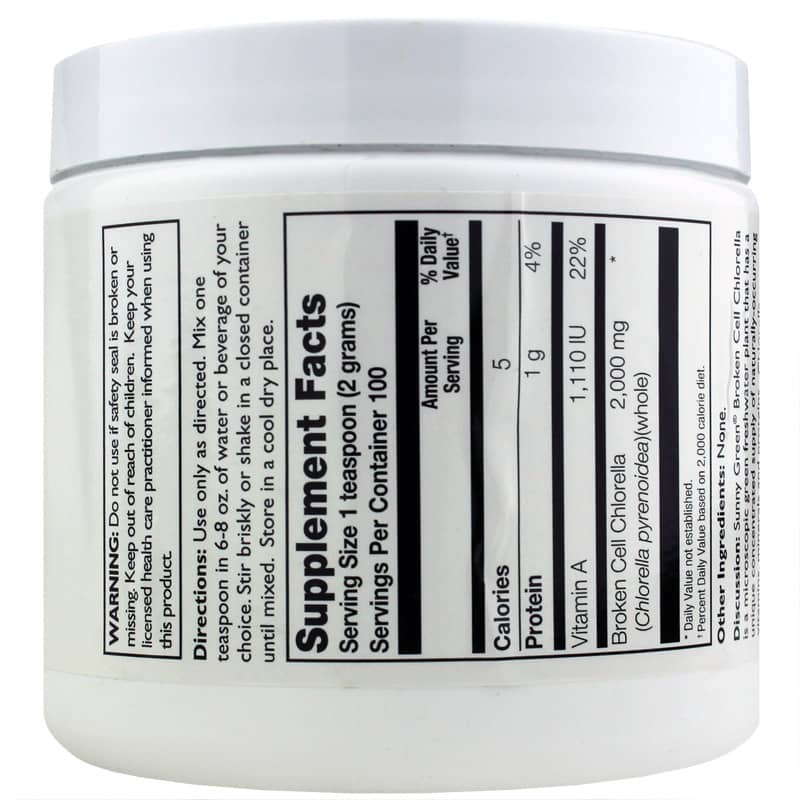 The recent discovery of the potential health benefits of chlorella has resulted in its popularity as a supplement like Broken Cell Wall Chlorella Powder from Sunny Green. 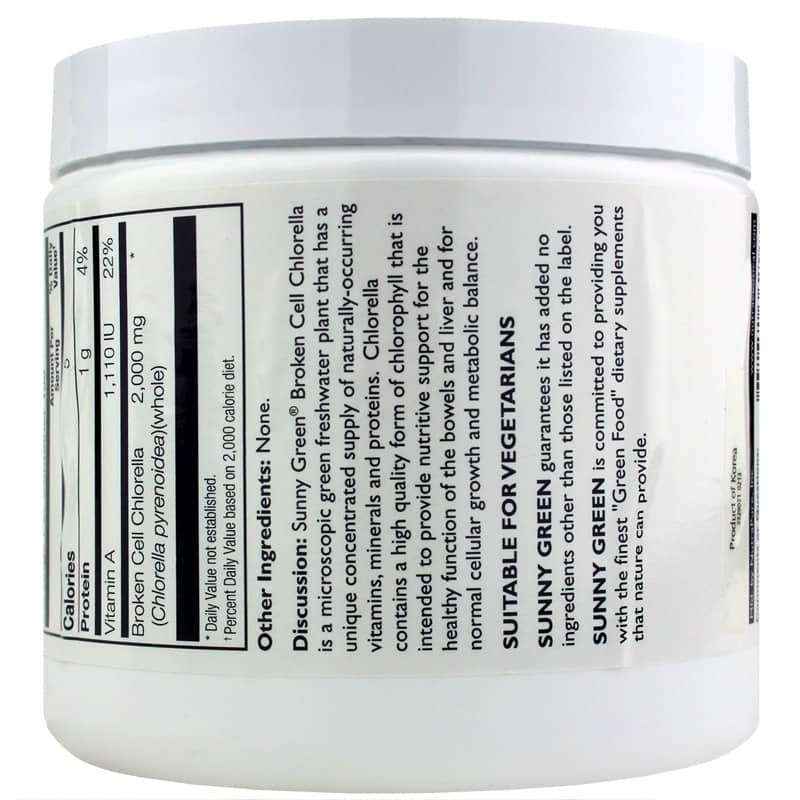 This powder contains 2,000 mg of chlorella. It works to support cell health, healthy liver function, and promote a healthy metabolism. It also contains vitamin A for added support, and can be mixed with water, juice, or added to a smoothie. 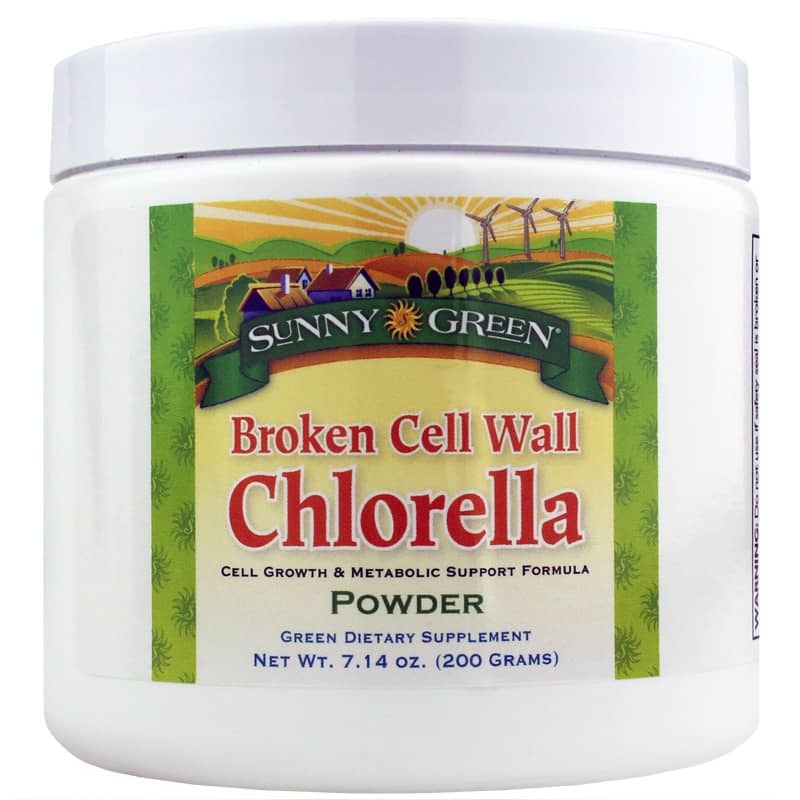 Experience the potential benefits of chlorella with Broken Cell Wall Chlorella from Sunny Green. Adults: Use only as directed. Mix one teaspoon in 6 to 8 ounces of water or beverage of your choice. Stir briskly or shake in a closed container until mixed.